A favorite inspiration of mine for outfits is to take cues from the effortless Parisians. Well, the French in generally, really. They truly are the masters of elegant simplicity at its finest. When I went to Paris while studying abroad, the women and men were as impeccably dressed as I had envisioned. Over a year later and I still often think of those chic women in all black outfits with simple ribbons wrapped around loose pony tails. Or those impeccably tailored suits on swoon worthy men. Take me back! I found this plaid fit and flare dress over the weekend for $4 at a Value Village thrift store. I've been searching years for something like it because of the endless styling possibilities. 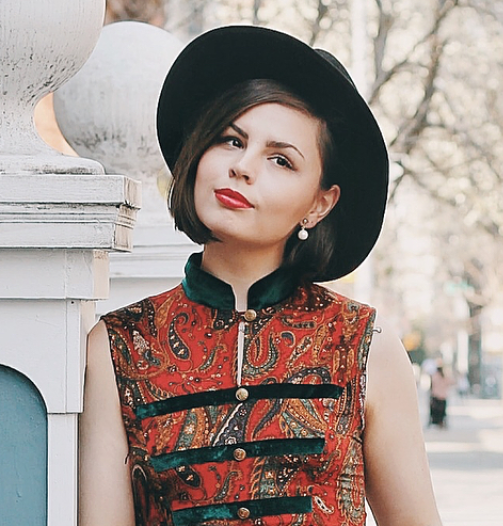 I first wanted to style it how I've always dreamed: in that perfect Parisian inspired ensemble. A little cinch of the waist with my bow belt, slipping on my go-to patent flats, and topping it all off with a sassy little beret. I'm making gains towards becoming the Parisian muse of my dreams. 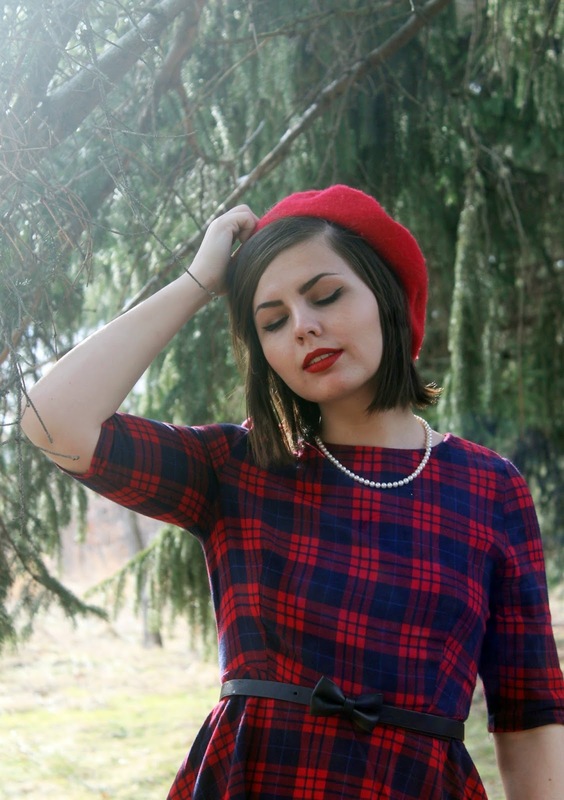 Plaid Fit and Flare Dress (very similar): Thrifted. Bow Belt (similar from Kate Spade): Aeropostale. Black Patent Bow Flats (similar): Thrifted. Red Beret ($12 one from Boohoo): Target. Pearl Necklace (similar to mine): Gift from my Grandmother. Lipstick in MAC Russian Red. Amazing dress! I can see why you've been searching for something like this, so classic, and it looks amazing on you! I've always wanted a dress like that, particularly for fall styles. What a lucky find!! I need to go to Paris one day. It's a life goal!